8 How to return wool softness? Each person in the wardrobe has comfortable wool products, which reliably protect from the cold. Even with careful handling, they need to be periodically put in order. Many housewives are interested in what temperature to wash a wool sweater, so that it keeps its shape, did not fall down and served as long as possible. For a start it is worth noting that woolen items do not need to be washed frequently. To refresh your favorite sweater, post it once a week on the balcony. Fresh air and frost quickly neutralize the unpleasant smell and give freshness. The optimal washing frequency is once in 6 months, but with active wear, you can shorten and stretch things several times more often. On a sweater purchased in the store, should be a label with recommendations for care. Be sure to study it and stick to the indicated notation. If the sweater or scarf is knitted by hand, you need to know which threads were used. The lower the percentage of synthetics in them, the lower should be the water temperature. Hand washing of wool is ideal for gentle cleansing. But, if you have a modern machine, you can trust her with clothes. Before you wash products from wool, carefully inspect them. In the presence of stains, contamination must be removed using table vinegar, glycerin or alcohol. These substances are not able to spoil the wool. To get rid of fat stains, mix vinegar with water in the ratio of 1: 1 and soak a cotton swab in the solution. Blot them blots and wait until they brighten. Tea and coffee marks are easy to remove with glycerin. Heat the substance slightly, soak cotton wool in it and treat the contamination 10 minutes before the wash starts. Sweat stains from wool can be removed by gently brushing them with a cloth moistened with medical alcohol. For the preservation of the shape it is important in what water to wash the wool. Such threads are very capricious and do not tolerate temperature changes and hot liquid. To clean the product from wool, it does not need to soak. Washing should be done quickly and carefully. Fill a large basin with water. Dissolve in it a liquid product specifically designed for wool. If it is not at hand, you can use a mild shampoo. It is enough to pour a cap into the 1 liquid and foam it. Turn the thing inside out, immerse it in water, wrinkle it several times, turn it over to the other side and repeat the manipulations. Be careful not to rub or stretch your clothes. After 5 minutes, remove it from the water without twisting and rinse. To make clothes look like new, you need not only to know in what water to wash woolen things. Proper rinsing is of paramount importance. It should be repeated several times to completely get rid of soap suds. At the final stage, add a fabric softener to the water. Instead, you can use the popular method and apply glycerin to soften water at the rate of 1.h. on xnumx l liquid. Carefully remove water from the clothes with your palms and wrap the item in a terry towel. Lightly squeeze and lay out on a flat surface to dry. Many housewives do not have enough time and energy to tidy things up manually. 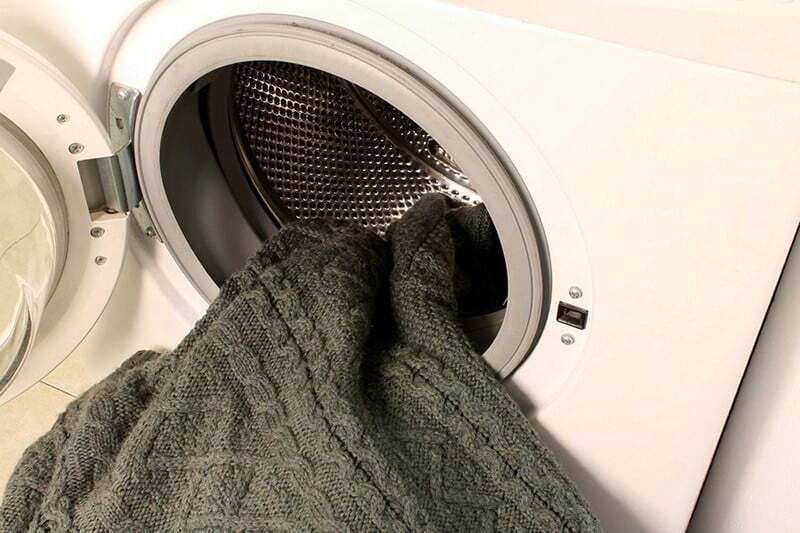 Washing the wool blanket and other bulky items causes particular difficulties. In this case, modern machine can facilitate the work. 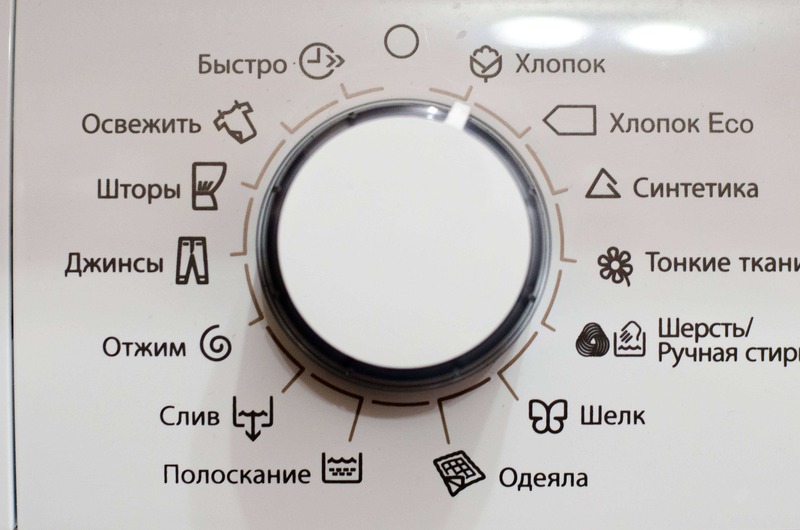 When choosing a program, you do not need to experiment in which mode to wash wool items. Manufacturers have specifically developed a program "wool", which takes into account all the features of such clothing. In some models, this feature is missing. In this case, select the delicate mode, set the heating temperature of water to 30 degrees, make sure that the program execution time does not exceed 45 minutes, and completely eliminate the spin cycle. Before you load clothes into the machine, you should unpick large buttons and other accessories from it. Otherwise, during the rotation of the drum, they can damage the product. Turn the sweater inside out and soak it in warm water for a few minutes. This is necessary in order to avoid shrinkage of the material. 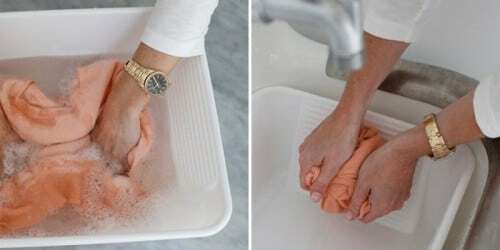 After that, put the item inside the drum, pour into the trays a mild detergent, for example, “Laska” for wool, conditioner and start the wash cycle. When it is over, open the door of the typewriter and remove the wet clothes. Gently remove excess moisture with a towel and send to dry, laying out horizontally away from batteries and other heating devices. In order for automatic washing to be safe, it is necessary to strictly adhere to the recommendations under what degrees to wash the wool. And also do not use chlorine and bleach powders for cleansing. Dark and colored wool requires special treatment. It often sheds, so before contact with water, be sure to perform a small test. You will need the thread from which the product is connected. Immerse it in a soap solution for 5 minutes and then wrap it in a piece of white natural fabric. If after this, the material will be visible stains, it means that the wool is colored poorly. To fix the color, add to the water for washing 2 Art. l vinegar. If you are interested in how to wash dark colored woolen things so that they remain soft and bright, use mustard powder. This popular recipe is time-tested and does an excellent job. Measure 1 a glass of dry mustard and fill it with 3 glasses of cold water. Pound carefully. There should be a homogeneous liquid. Strain it through a fine sieve or cheesecloth. Type in a basin of hot water 10 l, pour in the solution and wait for 2 hours. During this time mustard infusion. Carefully drain the water into another container in order not to disturb the sediment at the bottom, and dilute with hot liquid to a temperature of 35 degrees. 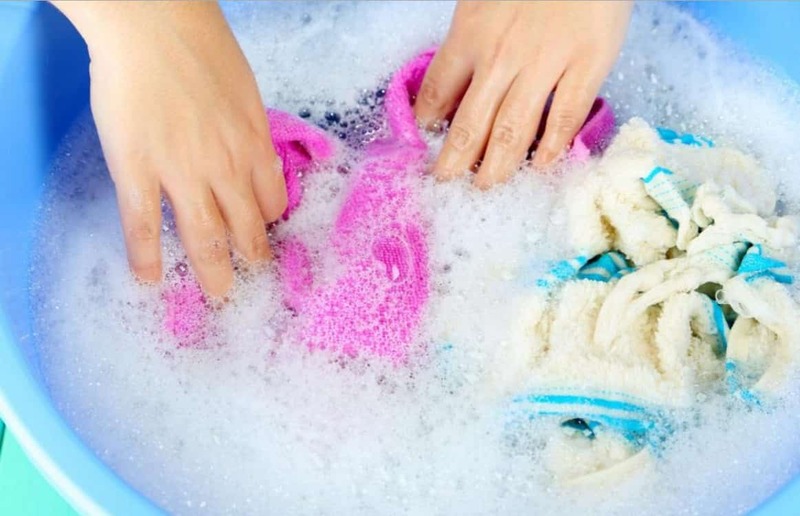 Soak the woolen garment and rinse without the aid of detergents. It is desirable to pour 1 tsp into the last water for rinsing. ammonia. Then the wool sweater will be surprisingly soft. From frequent washing the white wool thread turns yellow, and the clothes lose their attractive appearance. Do not rush to send a sweater to the cottage in this case. There are several proven ways to update its color. You can use a simple recipe. It will be necessary in 6 liters of warm water to dissolve 1.5 kg of ground chalk. Soak the white thing for half an hour. Squeeze a towel and dry. For the second method, hydrogen peroxide is required. It must be diluted with water in the ratio 1 tsp. per liter of liquid and soak things out of wool. After a quarter of an hour, gently wash them, and then rinse. How to return wool softness? With prolonged wear and frequent washing, clothing can become tight and lose its shape. To return to her former appearance, learn how to wash wool products with a decoction of beans. Pour 1 kg of 5 beans and water until cooked. Drain the water into a deep basin through a sieve and add the right amount of liquid to soak the clothes. Before diving things, check the temperature. It should be no more than 35 degrees. Wash wool in bean solution and rinse. This method gently washes dirt, gives softness, returns the former shape, prevents the appearance of pellets.